When you are travelling with your wheelchair, careful planning and preparation will help to ensure that your trip is smooth and successful. By creating a detailed itinerary and making special arrangements in advance, you will be able to easily and confidently navigate your way through airports, attractions, and new places. If you are planning an upcoming trip, here are some trips on how to travel with your wheelchair. 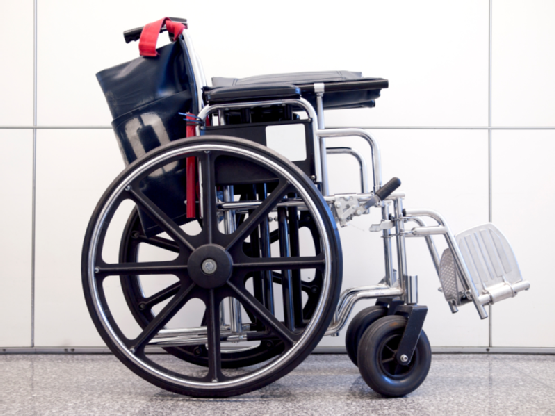 Before you embark on your trip, it is important to perform a thorough inspection of your wheelchair. During your inspection, check the safety and performance of each major wheelchair component. If your wheelchair shows any signs of issues, you should schedule a service appointment right away. By ensuring that your wheelchair is in proper working condition, you will prevent the need for repairs or service once you reach your destination. On the day of your departure, be sure to give yourself plenty of time to travel through the airport. Before the day of your trip, you can contact your airline to let them know that you will be travelling with a wheelchair. This will ensure that you will be provided with any necessary assistance when you are headed to your airport gate. During the flight, you will need to check your wheelchair. Before you check your wheelchair at the gate, make sure that it has been secured for travel. Fasten down any loose parts that may come off during the flight. Once your wheelchair has been checked, an airline attendant will provide you with an aisle chair for the flight. A wheelchair lift is a fantastic way to increase your wheelchair mobility. At Williams Lift Company, we offer a great inventory of wheelchair lifts, stair lifts, and handicap ramps that will provide you with effective and efficient performance. To learn more about the advantages of installing one of our lifts in your home, call our NJ location at (908) 322-7070.